How many of us love fried chicken? Me! Raising hand in the air. How many of us know that eating that chicken fried is not so good? Me! Raising hand in the air again not wanting to admit that. Every time I post something on our blog, I send an email to my friend at work, Heidi. She doesn’t do the Social Networking, so I like to share these with her. I had given her the BBQ Chicken Finger recipe. The next day when I asked her if she saw the post and she said she did. She also said that she makes chicken in the oven that tastes just like it’s been fried! (the BBQ Chicken fingers are fried in a pan w/oil before baking in the oven). Well heck, I’m all for that. I’ve soaked chicken in egg, milk, flour, bread crumbs, and even Cheez it Crackers! 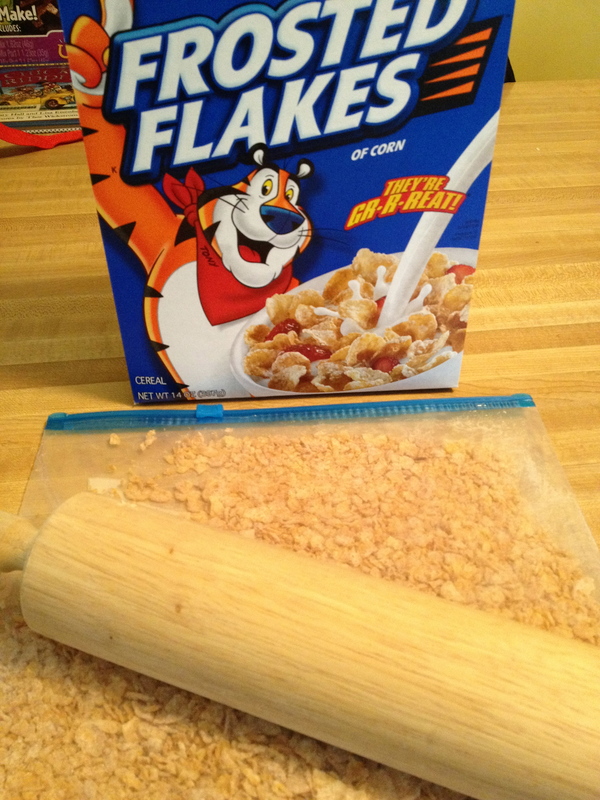 Some of you may have heard or even done this before, but I haven’t heard of using Frosted Flakes. I was all game for it. 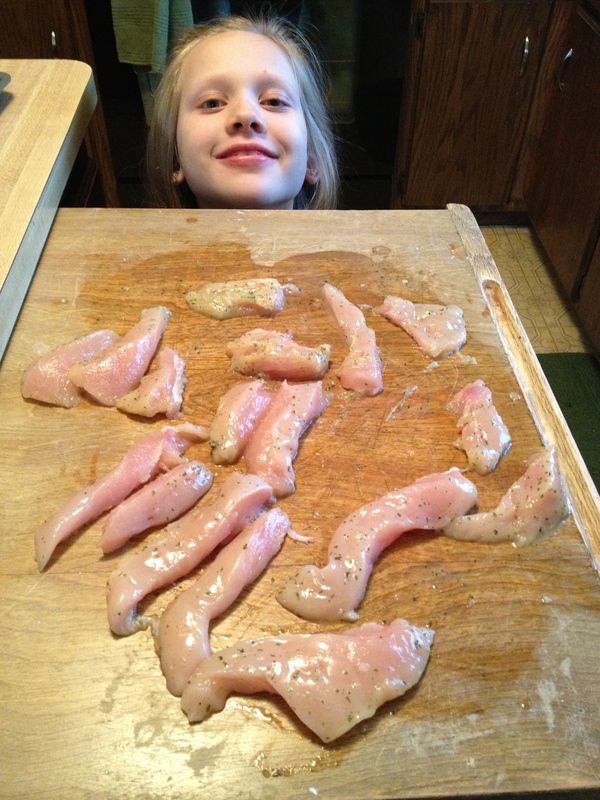 The sweetness that Heidi explained with the chicken, must be tried. Put the Frosted Flakes in a zip lock bag and crush! Dip each piece of chicken in the egg white. Put the cereal on a plate and coat both sides of the chicken and place on a baking sheet that’s been sprayed with cooking spray. Once each piece has been put on the baking sheet, spray with the Olive Oil Cooking spray. 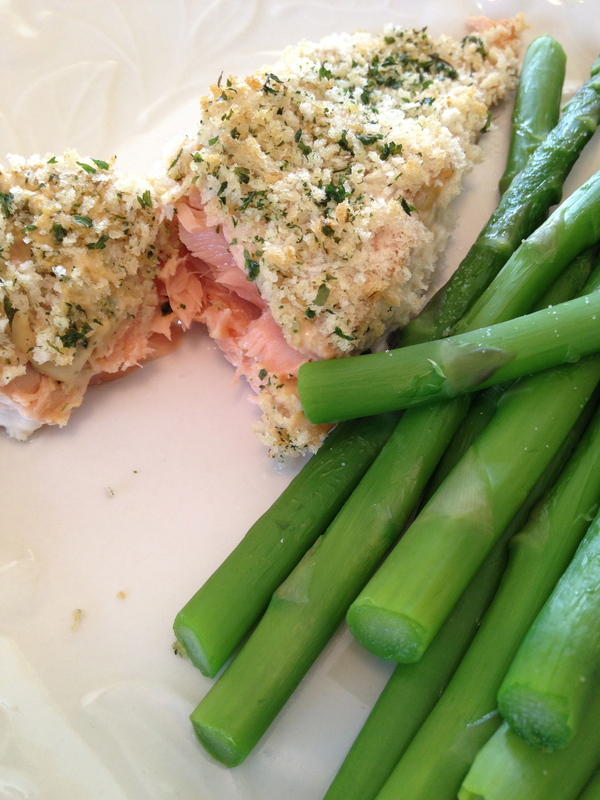 Put in the oven and bake for 20-30 minutes or until chicken is cooked through. If you’ve tried this before, then you can understand what the sweet flavor of the cereal does on the chicken. Instead of putting into words, just put it in the oven. No frying in a pan full of oil. The cereal is much better than the oil!! Thanks for sharing this with me Heidi so I can share with others. We’ll make this often.